When was the last time you prayed? When was the last time your poured your heart out to God? A song that we sing in church reminds me that “having a little talk with Jesus” will make everything all right. The above prayer by St. Teresa of Avila, is a powerful prayer. Christians should not let anything disturb them, yet at times they do. Christians should let anything frighten them, yet at times they do. God knows our deepest, most inner thoughts. Why do we hold on to problems, worries, hurt and pain when God already knows about them. Why don’t we turn them over to God who already has the problem worked out? (I am so guilty of this)! Prayer is powerful! Praying to God about what we are going through puts Him into action on solving our problems. A friend once told me, “God can not react until we act“. God is waiting on us to come to Him and say, “Father, I can not deal with this any longer. I surrender all to you. I know you will take care of it. Thank you Father that my problem has been solved. In Jesus name, Amen”. It is that simple! We make it so complicated! So my friends, the next time you are troubled, STOP! DROP! AND PRAY! Turn your cares and burdens over to God. You will feel better. God will begin to work! Thank you 8 Kids and a Business for your comment and beautiful prayer! God bless you! Valerie, St. Teresa of Avila’s prayer looks beautiful on your blog. I’m glad it inspired you to write another helpful post. You’re welcome and thank you. God bless you. God bless you to 8 kids! And thank you again for that beautiful prayer. That is a wonderful prayer, and thank you for the important reminder to turn our problems over to God and trust they will be handled well. Blessings to you, dear Valerie! 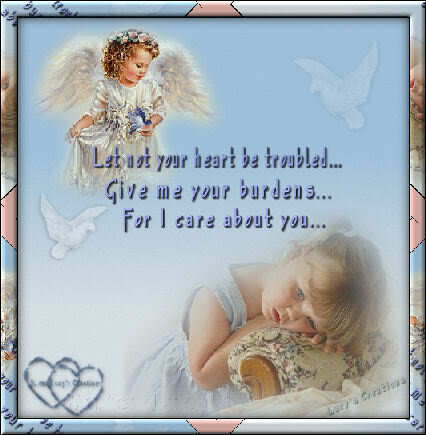 Connie, all thanks go to God for my friend sending me the prayer. Prayer is truly a powerful weapon we have been given to use. Blessings to you my dear friend! Love that!! “God can not react until we act.” Oh the power of prayer!! This is our greatest attack against the evil principalites of this world! Thanks for sharing.